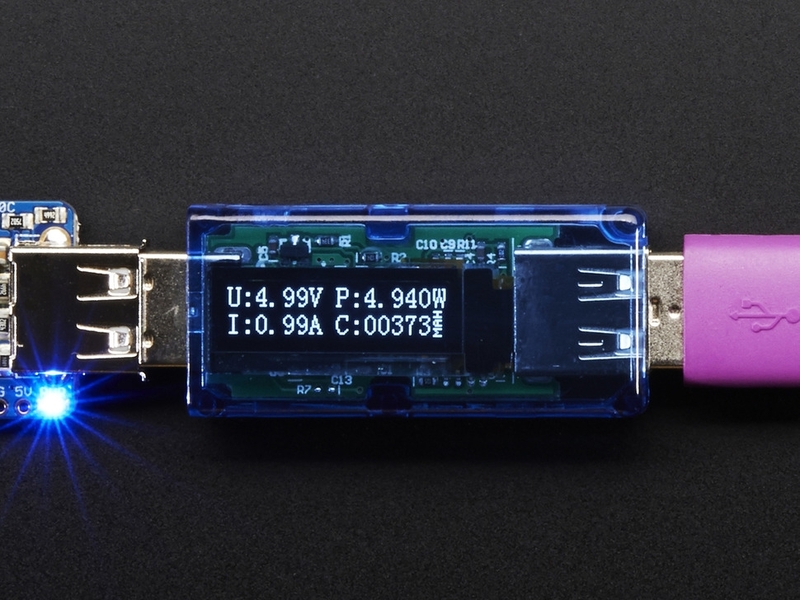 This USB In-Line Voltage and Current Meter with OLED Display is a lot like the Charger Doctor we carry - if the doctor was a talented surgeon who just lost her medical license and has nothing to lose. Just like the charger doctor, you can use this meter to find out if your voltage is too low or your current draw is too high. 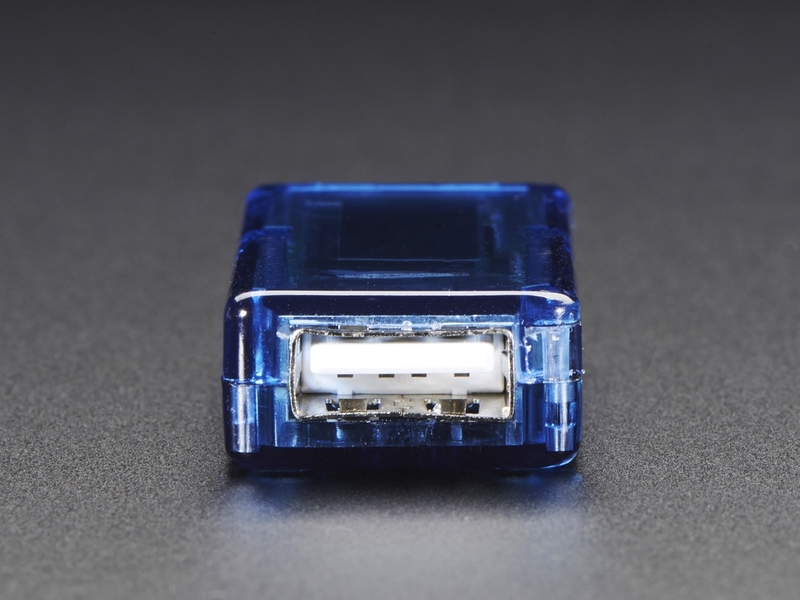 Use the USB In-Line Voltage and Current Meter to measure the working voltage and current output for any USB port and project. 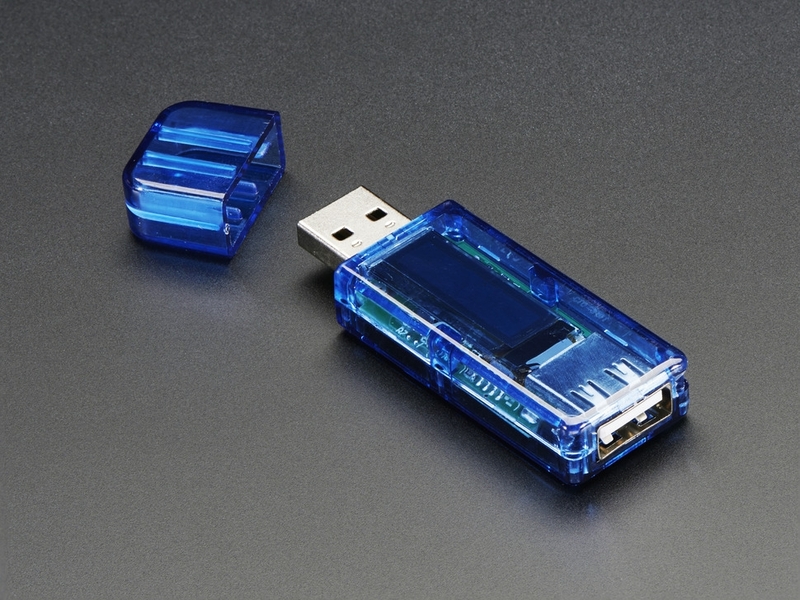 This blue plastic dongle plugs between a USB device, and passes the data lines through. There's a 0.025 ohm resistor in line with the power pin that is used to measure current draw. 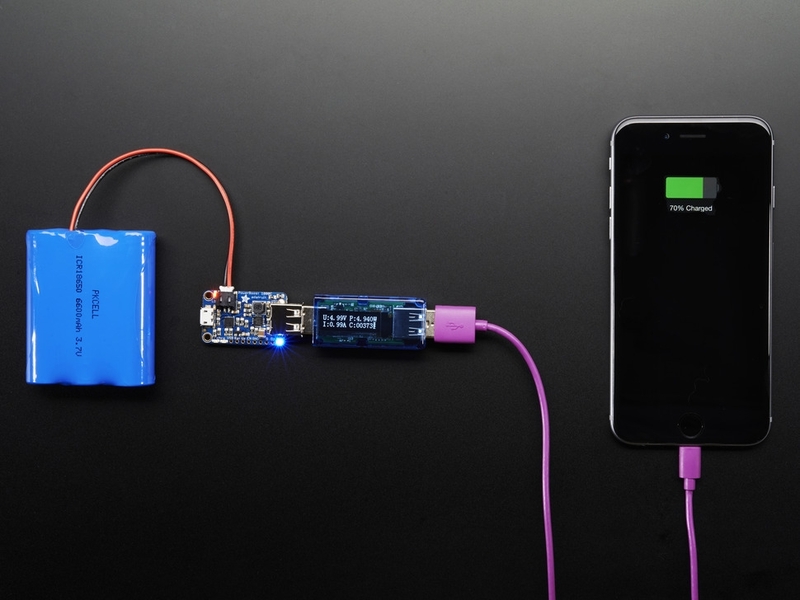 This voltage meter has an OLED display that shows off voltage, watts, amps, and mAH and instantly reads the numbers out for testing devices such as chargers, cables, and cell phones. There's a button on the back that allows you to flip the display 180° for easier reading. 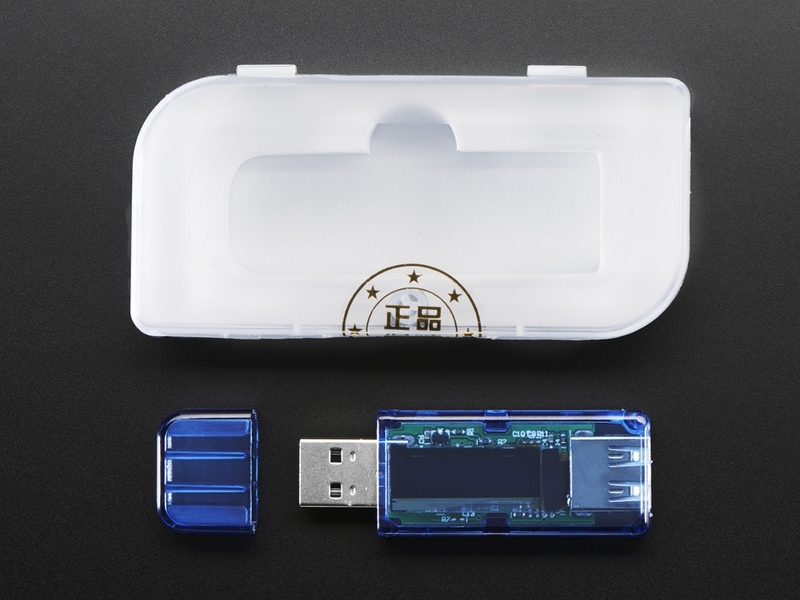 You can use this device from 3.7-13VDC input voltage (although most USB devices tend to hover around 4.75 to 5.25) and up to 3A of current. It's a very handy tool for testing USB devices above 7VDC, checking load levels and debugging battery chargers and boost converters. 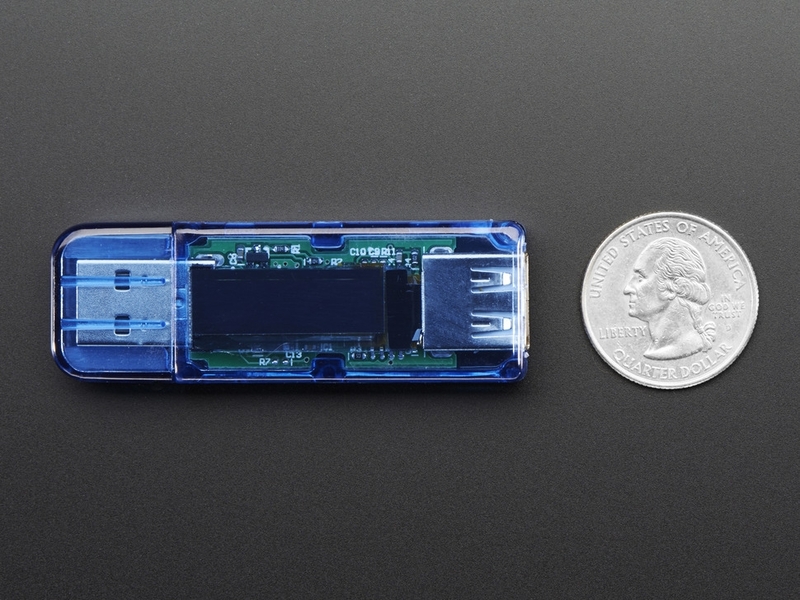 It's a little chunkier, but more numerical than our USB Power Gauge Mini-Kit. 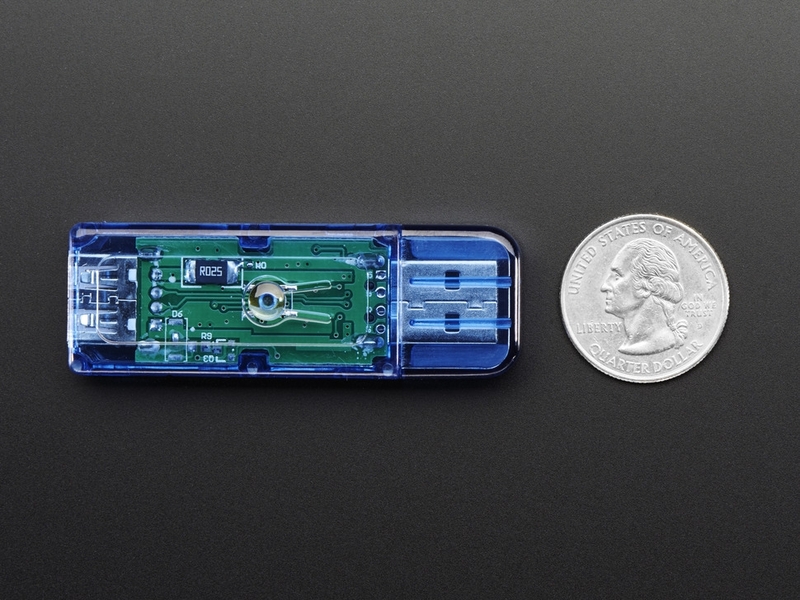 It's also not open source so check out the USB Power Gauge mini kit if you want to hack together your own power gauge indicator or our Charger Doctor for a less expensive version that can handle less voltage. 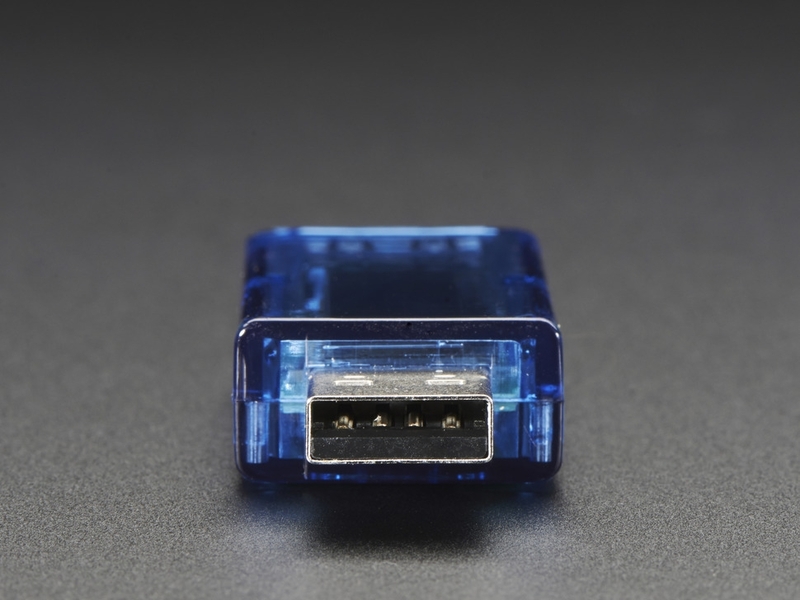 w/o USB Plug: 47mm x 22mm x 11mm / 1.9" x 0.9" x 0.4"
USB Plug: 14mm / 0.6"